Being a business owner, especially in the clothing industry, is all about having the right tools. What is an essential tool that any clothing business should have, you ask? A heat press. Heat transfer presses allow customize-able designs to be printed on many different materials. You want one for your business, but you're having trouble picking one. That's okay. Here is a quick guide on how to pick the right heat press for you, depending on the application and your level of experience. 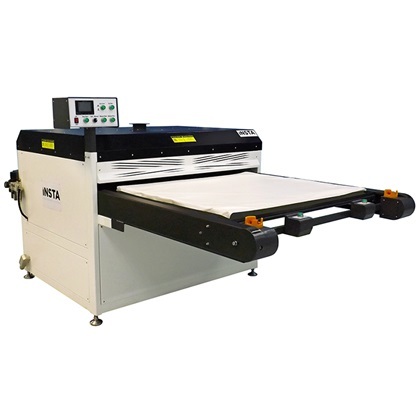 If you are just starting out on the heat press scene, then getting a starter heat transfer press is the one for you. This heat press machine is an affordable way to start a small imprint fabric business, according to Sign Warehouse. These presses are not designed for high volume production. They are simple to use and can be compact, meaning they don't take up a lot of space. These heat transfer presses are rugged and versatile. This one is the perfect middle ground when you need a step up from the beginner. The intermediate level heat presses are larger than the beginner. It has a simpler design than the professional model but is still reliable and productive. This type of heat press is made for high production volumes. It is not as user-friendly as the beginner or intermediate level, as they take a little more practice. They are very precise and reliable, as one would expect from a professional grade model. They also offer a great amount of versatility, so you can use it for just about anything. When choosing a heat press, try to keep in mind what exactly you need the machine for. Whether you are a beginner, at the intermediate level, or a professional, your skill level as well as your need will help you determine which type of heat transfer press is right for you.